Fujifilm created quite a stir when it first introduced its X100 premium compact camera at Photokina 2010, almost exactly four years ago. 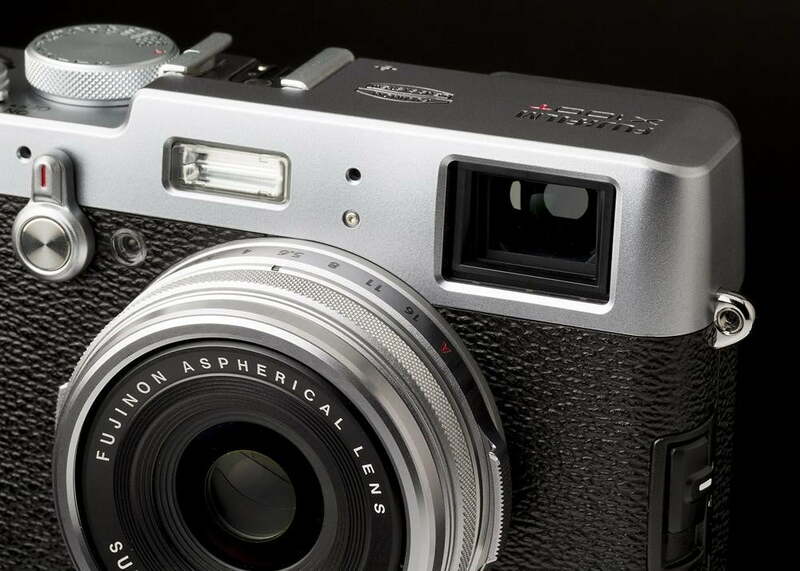 Now, just ahead of Photokina 2014, Fujifilm is releasing another premium successor, the X100T. Secondly, what sets the X100 apart from other digital cameas was its hybrid viewfinder that combine both an optical viewfinder and an electronic viewfinder. This technology eventually made its way into the X-Pro 1 interchangeable-lens model, but hasn’t found widespread application with other manufacturers so far. The X100 was eventually replaced by the slightly more refined X100S – a DT Editors’ Choice camera that we simply love – in early 2013, and now Fujifilm has announced the third model in the series, the X100T. Just as the changes in outward appearance from the X100 to the X100S were subtle, the X100T hardly gives away that it’s an entirely new model, were it not for the slightly refined button layout and slightly larger display (now measuring 3 inches) on its back as well as the ‘T’ label on its front. The rear has a new, larger 3-inch display and slightly refined button layout. The real changes, once again, lie underneath. The most notable feature of the X100T is its reworked hybrid viewfinder, which claims to make manual focusing even easier than before. 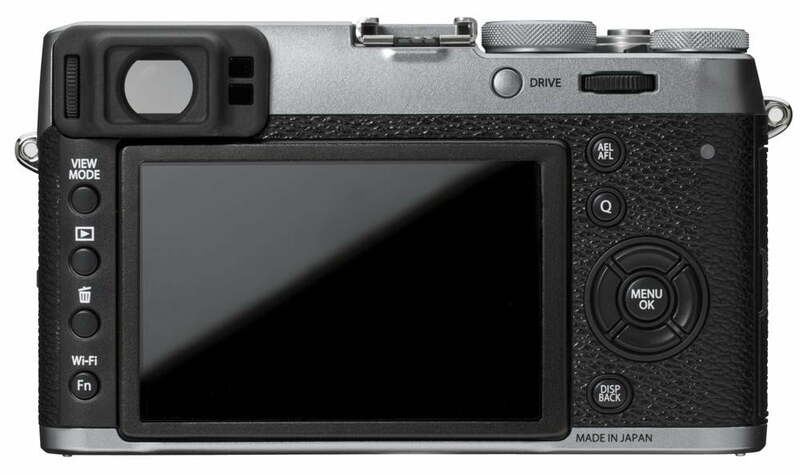 Besides the switchable optical/electronic view, the X100T’s viewfinder also supports what Fujifilm calls an “electronic rangefinder.” In reality, the feature is far from being a true rangefinder view (which shows overlapping images that need to be aligned, to achieve proper focus) but rather an electronic insert into the optical view that facilitates critical focusing on a specific point in the image. The “electronic rangefinder” displays an electronic focusing aid into the optical viewfinder. 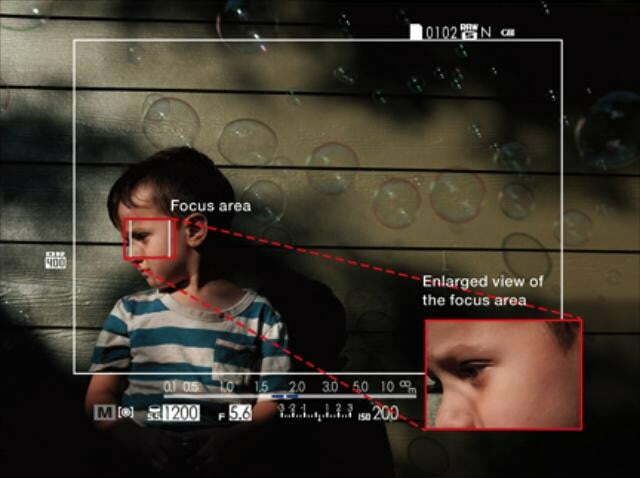 In addition to this new focusing method, the X100T now offers live parallax correction during focusing, by shifting the (electronically displayed) image frame-lines in the optical viewfinder mode according to the focusing distance. This way, the X100T prevents the final image to show a hugely different crop than what the user was seeing through the viewfinder when composing the image, which usually happens at close focusing distances due to the viewfinder and lens being offset vertically and horizontally from each other. Live parallax compensations makes sure the final image shows the same frame as the viewfinder. Another change to the X100T’s viewfinder concerns the resolution of its electronic viewfinder, which is now just over 1 million pixels, providing a more detailed preview image. Apart from that, the manual aperture ring that surrounds the lens now supports setting the aperture in 1/3 stop intervals, which should give professionals and enthusiasts more control over the exposure, as well as depth-of-field. The main changes have been made to the viewfinder and the aperture ring. A new electronic shutter mode in the X100T now supports shutter speeds as fast as 1/32,000 of a second, which allows the user to take pictures at the widest aperture setting of f/2 even under very bright light. The lens itself is the same 23mm f/2 model that has proven itself in the X100 and X100S; this is a fixed-focus prime lens, so there’s no zoom abilities other than you physically moving close to a subject or object. The sensor also remains a 16-megapixel APS-C chip with Fujifilm’s proprietary X-Trans II color filter layout that was already used in the X100S. As most current camera models do, the X100T supports Full HD movie recording at 60, 50, 30, 25 and 24 frames per second. Unlike most other cameras, though, the X100T allows the use of the optical viewfinder during video shooting. 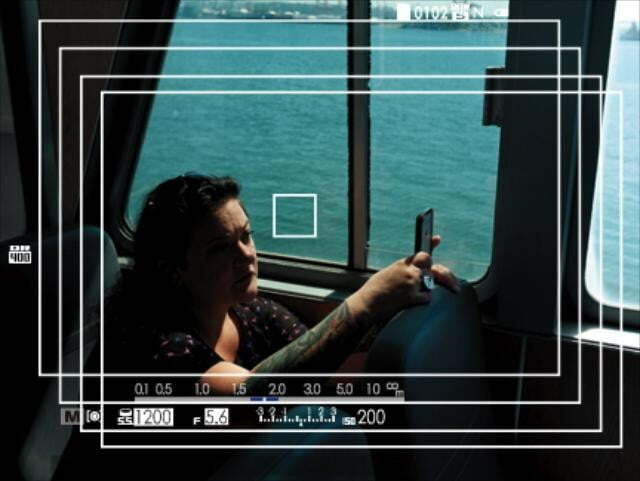 Wi-Fi is also integrated into the camera, so you can use your smartphone or tablet as a remote control and send pictures wirelessly to other devices. The Fujifilm X100T will be available in a choice of silver and black color in mid-November 2014 for $1,300.